Debra has been an advisor to XPV since 2010 and joined the firm full time in 2015. Her experience as a top ranked Wall Street water analyst and her work as a water sector consultant to investors, companies, and municipal utilities position Debra to help our partners position themselves for success. Based in the Washington D.C. area, Debra has created a unique franchise and expertise in covering the global water sector for investors. She was named a Financial Times/Starmine “Best Brokerage Analyst” in 2008 and 2009 and a Forbes “Best Brokerage Analyst” in 2010 for water utilities coverage. She was responsible for running the leading water conference on Wall Street for more than a decade and helped launch and co-organize Global Water Intelligence’s American Water Summit in 2010-2013. She is a frequent speaker at industry events, has appeared on CNBC and is often quoted in financial and industry publications on water sector stocks and industry issues. She is a regular columnist on water financial and policy matters for Global Water Intelligence and member of the Board of Directors for Headworks International Inc., a wastewater treatment technology firm. She has testified on Capitol Hill on water infrastructure financing, and previously served as co-chair of the Water Environment Federation’s Global Water Strategies Council. She also has participated in national dialogues on water policy hosted by leading think tanks such as the Aspen Institute. 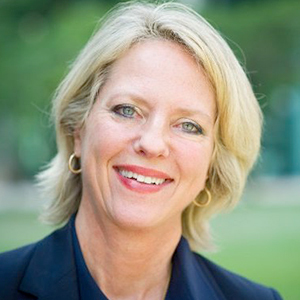 Debra previously worked as Managing Director leading coverage of the water sector for Janney Montgomery Scott’s Capital Markets group and as an equity research analyst for Stanford Washington Research Group, Schwab Capital Markets, HSBC Securities, and National Westminster Bank. She received an M.A. degree in Journalism from the University of Maryland.